Farming is a year-round, all-weather activity, and it is an industry that is still vitally important to our economy here in the UK. However, farming can also be a very hard, labour-intensive task, especially during the cold winter months. Although production quantities are usually decreased during this time, for livestock farmers, there are still animals to be fed, watered, and cared for – regardless of the season. Without a constant supply of fresh feed coming in, the storing of all the animal feed required for the winter can be tricky and can take up a lot of space, particularly on smaller farms. That is why it is important for farms to ensure that they have the right equipment to overcome this problem. Here at Tuffa – one of the leading water storage tank manufacturers in the UK – we are here to help. We have a comprehensive range of storage tanks that are easily adaptable to suit your individualised requirements. From liquids storage including water, through to feeds and oil storage tanks, our tanks will be able to provide the solution to your farm’s storage concerns. Our water storage tanks will ensure that there is always a constant supply of fresh water on hand for your animals and livestock over the colder, winter months. Tuffa water storage tanks are hygienic, meaning that water can be kept fresher for longer. We have a wide range of water tanks available in a variety of sizes, styles and finishes. This is good as it allows you to pick out a custom tank that suits your requirements, the size of your farm, and the number of animals that it will need to provide drinking water for. Tuffa storage tanks can also be repurposed to securely store surplus animal feed over the winter months. Our tanks are highly adaptable and multi-functional, allowing you the freedom to choose a tank that suits the specific task at hand. 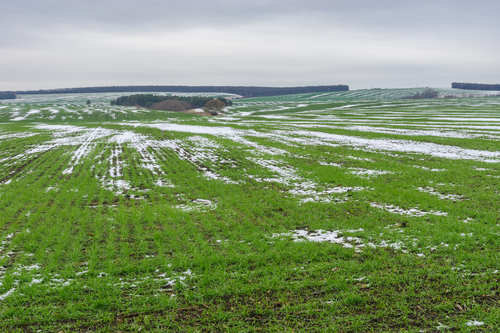 If your farm is located off the beaten track in a remote location, you will want to ensure that you won’t get cut off by bad weather conditions over the winter. If you are interested in becoming a little more self-sufficient, it may be worth looking into purchasing a heating oil tank. This can be used as an alternative power source should you get cut off, resulting in you still having the means to provide heat and a way to cook, which is absolutely essential in winter! To get more information about how a storage tank from Tuffa can benefit your farm, please get in touch with us today.